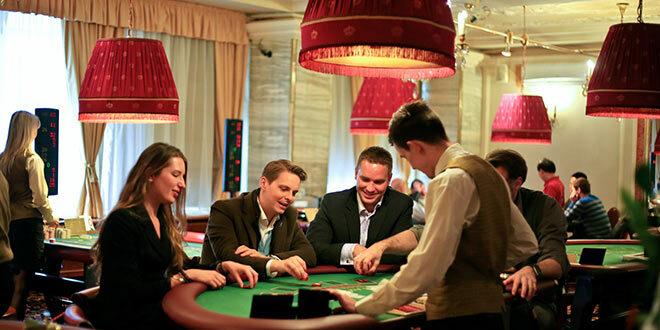 Casino Ambassador VIP Club is situated in the hotel of the same name, right on Wenceslas Square. It has been fully refurbished to ensure it is right up to date. The casino is open non-stop and thus is very popular especially during late hours. 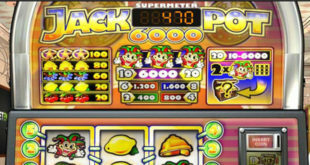 Games available are American roulette, blackjack, pontoon and oasis poker, as well as six slot machines. CZK and USD currency are accepted and other foreign currencies can be exchanged for chips at the cash desk. Minimum bets for slots are 0.25 USD, for card games 5 USD (100 CZK) and for roulette 1 USD (25 CZK). If you’re not a seasoned gambler there is a daily ‘Just for Fun’ session from 8pm-10pm. 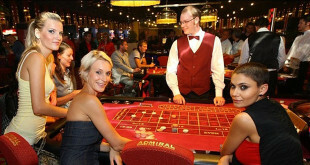 Here the staff will introduce you to the rules of the games available and let you play some of them absolutely for free. 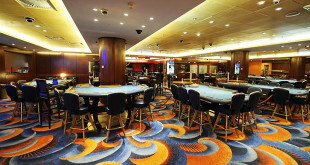 ‘Just for Fun’ programmed also presents the casino as a place with pleasant atmosphere where you can experience some untraditional adventure and exquisite cuisine. 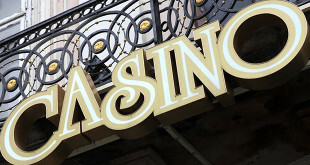 Games available in this casino include American roulette, blackjack, oasis stud poker and six slot machines. All can be played in both Czech Crowns and USD. Minimum bets for slots are 0.25 USD, for card games 5 USD (100 CZK) and for roulette 2 USD (25 CZK).